His latest, Thirty Something (我的30定律) will premiere on December 12 (on free to air channel TTV, then on EBC on Sundays), following To the dearest intruder. He will team up with Kimi Hsia this time, in a story about the insurance business. A bunch of 30 second teasers have been released already and this drama seems to be about the struggles working as insurance agents with of course some sort of romantic storyline. Xiu Jie Kai plays You Zi Jie, who is the boss (or mentor?) of Kimi Hsia’s character He Mei Liang. Mei Liang worked in medical equipment sales previously but changed jobs to be an insurance agent. Based on the teasers, she’s a rookie in this industry and will learn a lot from working with Zi Jie. 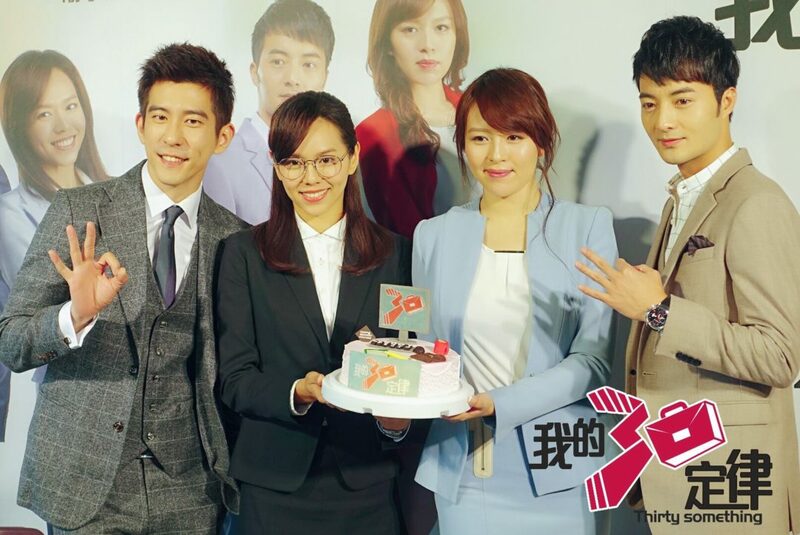 Other cast members include Esther Liu Pin Yan and Samuel Koo Bin. Interestingly, Esther Liu’s character Fang Wen Hui is (was?) married to You Zi Jie? Or was she talking about her relationship with Samuel’s character? I couldn’t find more detailed character descriptions yet so we’ll just have to wait and see. Here’re some photos from their press conference last week. I’m not sure about those glasses? She’s supposed to be approaching 30 years old in this drama so don’t make her a complete noob in the workplace! Photos from the official Thirty Something Facebook page. i tried watching the first episode, but.. didnt really like it. have you watched it? Yeah I only saw the 1st episode so far as well…. didn’t really motivate me to watch any more. I probably will when I have more time. Kimi Hsia’s character is kinda annoying tho.